The Scaled Professional Scrum (SPS) assessment is a 60 minute time boxed assessment where you’ll answer 40 questions (in English) of multiple choice type, very similar in style to the Nexus Open assessment. You get one attempt and you decide when and where to take it. There’s no expiration date. You are not required to attend an assessment centre and can take it from the comfort of your own home. Further details on what to expect from the assessment can be found on the Scrum.org assessment page. Ideally, attend a Scaled Professional Scrum course and read back over the course notes. Read the Nexus Guide and get really familiar with it. This is the primary source of all answers for the assessment. Read my pages on Scaled Professional Scrum and Nexus – The Definitive Guide. This is the most comprehensive source of further information available online. Take the Nexus Open assessment until you can do it fast and score 100% twice in a row. This is really important as some of the toughest questions here come up in the SPS assessment so this is your chance to pick up some easy points. Take my Scaled Professional Scrum Practice Assessment. This offers different questions to the Nexus Open assessment so is an additional opportunity to test your knowledge in advance of sitting the real assessment. Since the SPS assessment is an intermediate level assessment, doing the other Open Assessments may also help you prepare. I would especially recommend the Scrum Open and Product Owner Open assessments. Review some relevant posts on the Scrum.org forums. Consider reading The Enterprise and Scrum by Ken Schwaber. It’s a little dated now but the core concepts around scaling are still true. Unfortunately there is no digital edition available. Contact me with your questions. I like it when you do! Have the Nexus Guide, the Scrum guide and the Scrum glossary to hand and use it to look up what you need. Don’t spend too long on each question. If unsure of an answer, note down the question number and move on. Time is usually not a major issue for people with this assessment, unlike some of the others. Come back to the hard questions at the end and use your time to think them over. Google the question if really unsure, but be careful as this takes time and there are lots of unreliable sources out there. If time permits, check all your answers before the end. You can resit the assessment if you need to, but you will need to purchase another attempt from Scrum.org. The only exception to this is if you attend a Scrum.org Scaled Professional Scrum course, and then fail the SPS assessment within 14 days of completing the course. In this case Scrum.org will provide you with a 2nd free attempt (as of 12th September 2017). I hope this information will help you to pass and achieve the Scaled Professional Scrum certification from Scrum.org. Let me know how you get on via the comments below and good luck! Dear Simon, Your site is – besides being a very professional scrum site – a big help for passing the SPS exam. Thank you very much. Best regards, Xander Prins. 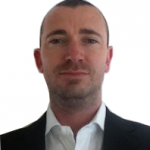 Thanks a lot Simon for an excellent article on on SPS and I really loved your way of presenting your SPS Definitive Guide blog here. I also utilized your SPS practice test. These things really helped me to pass the SPS assessment just now in my first attempt. Thanks to your great SPS Definitive Guide & SPS Practice Test, I’ve passed the SPS assessment today (first attempt). 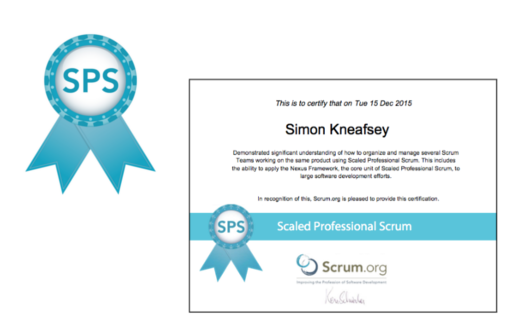 Thanks a lot Simon for an excellent articles on on Scaled Professional Scrum. SPS Definitive Guide blog published here is a great reference for me along with Nexus Guide. I also utilized your SPS practice tests/Mocks for best preparation. These things really helped me to pass the SPS assessment recently in my first attempt.